If you are looking for Speed with unmatched Penetration then look no further. The Victory VAP Hunting shaft was designed by composite engineers & archers to out perform & out penetrate all other shafts in the market. 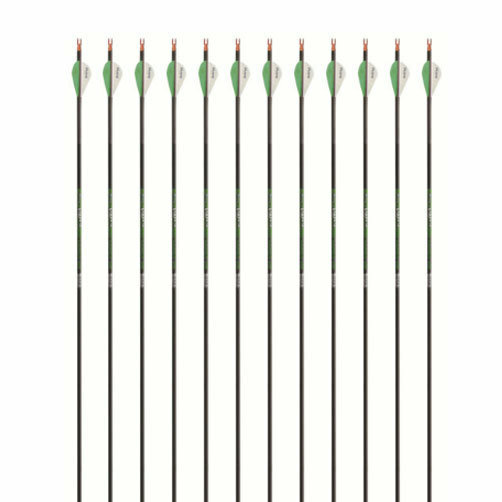 The VAP shaft combines the deadly combination of a micro outer diameter while maximizing kinetic energy, accuracy and penetration making it by far the most powerful, accurate hunting arrow on the market. With Industry leading straightness tolerances of ±.003” and tight weight tolerances coupled with Victory’s Spine alignment process, the VAP is unmatched. The VAP has a variety of precision 7075 aluminum and stainless steel components that help increase the EFOC (Extreme Forward of Center) design which offers ultimate long range accuracy and penetration for that animal of a lifetime.